Monarch Air Group provides private air charter in Pittsburgh, PA. Our clients benefit from top-notch service, unrelenting dedication to safety, wide selection of aircraft, and years of experience in chartering private jets. To obtain a free quote, please use our online quoting tool provided below, or call toll free 1-877-281-3051. 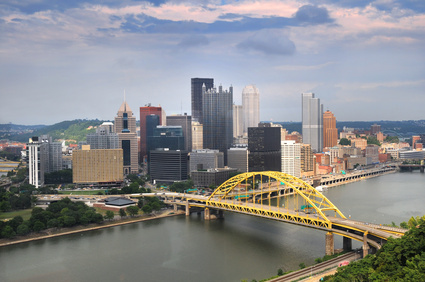 Monarch Air Group offers private jet charter services to and from Pittsburgh, PA, USA. Pittsburgh is the second largest city in the U.S. state Pennsylvania and is one of the cleanest in the nation. Known for its steel industry, nowadays its economy is largely based on healthcare, education, technology, robotics, and financial services. Meeting at the Allegheny, the Monongahela, and the Ohio rivers, Pittsburgh is home to some great places including Pittsburgh Opera, the Pittsburgh Youth Symphony, The Benedum Center for Performing Arts, the Pittsburgh Symphony Orchestra, and Heinz Hall houses. 1. AGC, Allegheny County, Pittsburgh, United States. 2. BFP, Beaver Falls, Beaver Falls, United States. 3. BSI, Blairsville, Blairsville, United States. 4. BTP, Butler County – Kenny Scholter Field, Butler, United States. 5. FKL, Chess-Lambertin, Franklin, United States. 6. GWV, Glendale, Glendale, United States. 7. HLG, Ohio County, Wheeling, United States. 8. IDI, ndiana County Airport (Jimmy Stewart Field), Indiana, PA, United States. 9. JST, Cambria County, Johnstown, United States. 10. LBE, Westmoreland County, Latrobe, United States. 11. MGW, Morgantown, Morgantown, United States. 12. OBT, Oakland/Coliseum Stat, Oakland, United States. 13. OIL, Splane Memorial, Oil City, PA, United States. 14. WAY, Greene County, Waynesburg, United States. 15. WSG, County, Washington, United States. 16. YNG, Youngstown, Youngstown, United States. 1. DoubleTree by Hilton Hotel & Suites Pittsburgh Downtown, 1 Bigelow Square, Pittsburgh. 2. Renaissance Pittsburgh Hotel, 107 6th Street, Pittsburgh. 3. Omni William Penn Hotel, 530 William Penn Place, Pittsburgh. 4. Brewers Hotel Inc, 3315 Liberty Avenue, Pittsburgh. 5. Nied’s Hotel, 5438 Butler Street, Pittsburgh. 6. DoubleTree by Hilton Hotel & Suites Pittsburgh Downtown, 1 Bigelow Square, Pittsburgh. 7. Renaissance Pittsburgh Hotel, 107 6th Street, Pittsburgh. 8. Hampton Inn Pittsburgh – University Center, 3315 Hamlet Street, Pittsburgh. 9. Holiday Inn Express, 20 South 10th Street, Pittsburgh. 10. DoubleTree by Hilton Hotel & Suites Pittsburgh Downtown, 1 Bigelow Square, Pittsburgh.